Dolores Mountain Quilters and a Quilts of Valor representative created this quilt, which will be donated to a local veteran. From left are: Chris Harwood, Jan Mussler, Barb Holmes, Libby Holmes, Diana Donohue, Marty Ambrose, Judy Danielson, Kate Nemanic and Margien Gram. 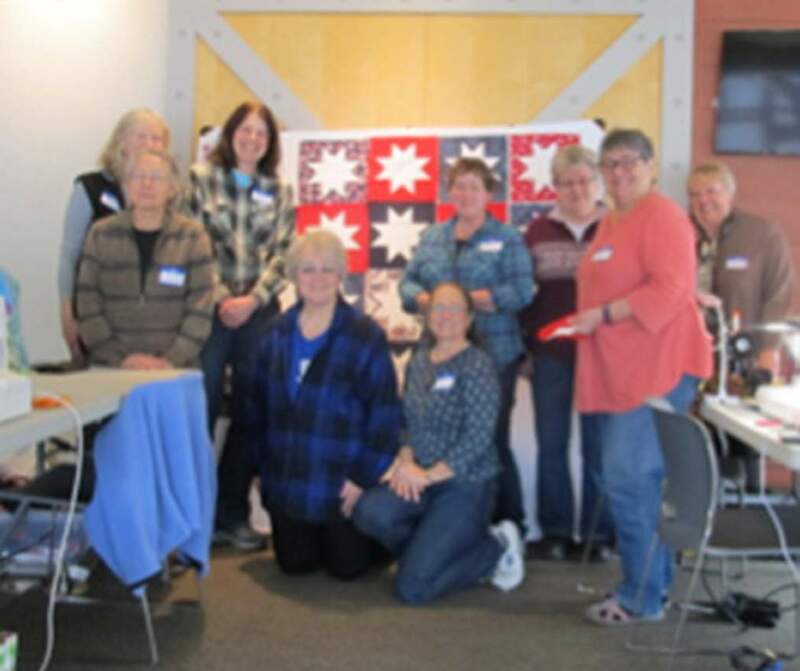 The Dolores Mountain Quilters participated in the 2019 Quilts of Valor National Sew Day on Feb. 2. Quilters nationwide participate in the event to create quilts that are donated to a veteran. “The mission is to provide comfort to a veteran with a healing Quilt of Valor,” said Dolores Mountain Quilter Diana Donahue. Since the event began in 2003, more than 210,000 quilts have been handed out nationwide. The pattern this year was a floating Ohio Star design. In one day, seven Dolores Mountain Quilters and Quilts of Valor representative Elizabeth Holmes and her sister sewed 45 pattern blocks that were then stitched together for the quilt. The group had the sew day at the Dolores Public Library. They made two dozen more blocks than needed, and the extras were sent to the Quilts of Valor to be used on other quilts for veterans. Dolores Mountain is coordinating with local veterans groups to determine a recipient for quilt. This is the first year they have joined in the effort. “We were contacted to participate in this event, and now it is something we want to do every year to honor those who served our country,” Donahue said.